The news that Frank Hahn’s G-Force team has a Le Mans entry for its Courage C65 means that the youngest ever Englishman to race at Le Mans will be on the grid in June – Ed Morris. 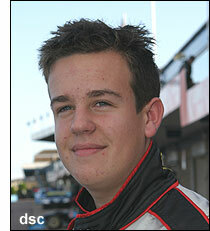 His 18th birthday will be on May 2, so Ed just misses out on the ‘youngest ever driver at Le Mans’ title – by three days, to Gunnar Jeannette, whose birthday is May 5, and who made his debut in 2000 (the race dates are/were June 17-18 for both 2000 and 2006). Unfortunately, Mrs. Morris couldn't 'hang on to Ed' for three more days. The young man is taking a year off school to give himself time to prepare for his racing, but is doing some work in his father’s dental laboratory, and in an architect’s office. His next outing in the Courage C65 will be at Paul Ricard at the end of March. Meanwhile, Graham Morris has acquired a Lotus Esprit, one with a certain Le Mans ‘history’: it’s the car that Andrew Bramley had hoped to race at Le Mans in 1998, but which was turned away by the scrutineers. NB. Gunnar Jeannette finished sixth in class on his Le Mans debut, and followed that with second in class a year later. 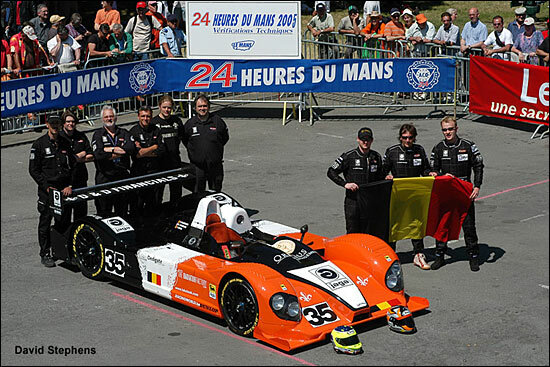 Here's the G-Force team at Le Mans last year, at the beginning of an eventful week for them.